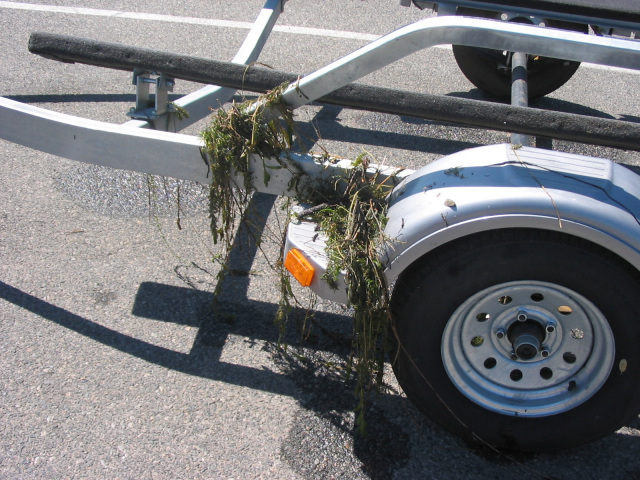 Clean your boat and allow to dry for five days in warm, dry weather or 30 days in cool, moist weather. Disinfect equipment by soaking in hot water above 140°F (hotter than most tap water) for one minute. Clean boat surfaces by high pressure application of hot water until the surface temperature is brought to at least 140°F for thirty seconds. Bleach: Soak or spray equipment for at least one minute with a 2% bleach solution (three ounces of household bleach mixed with 1 gallon of water).